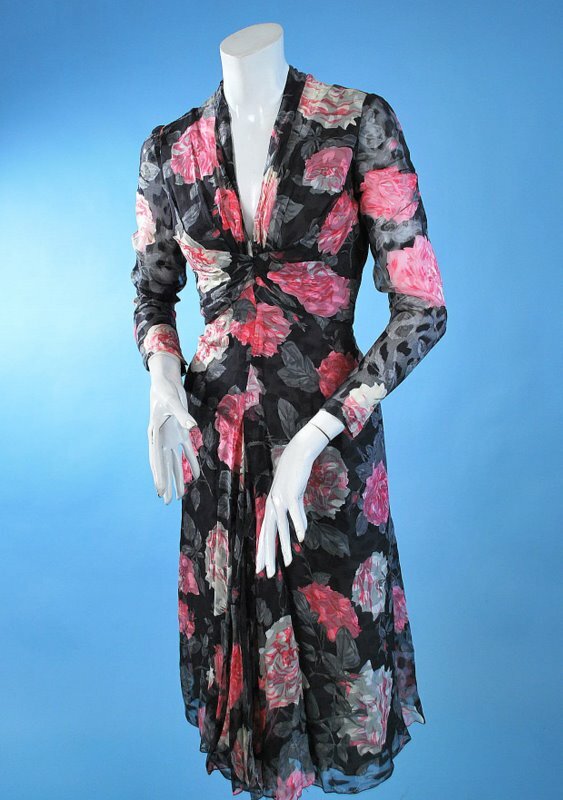 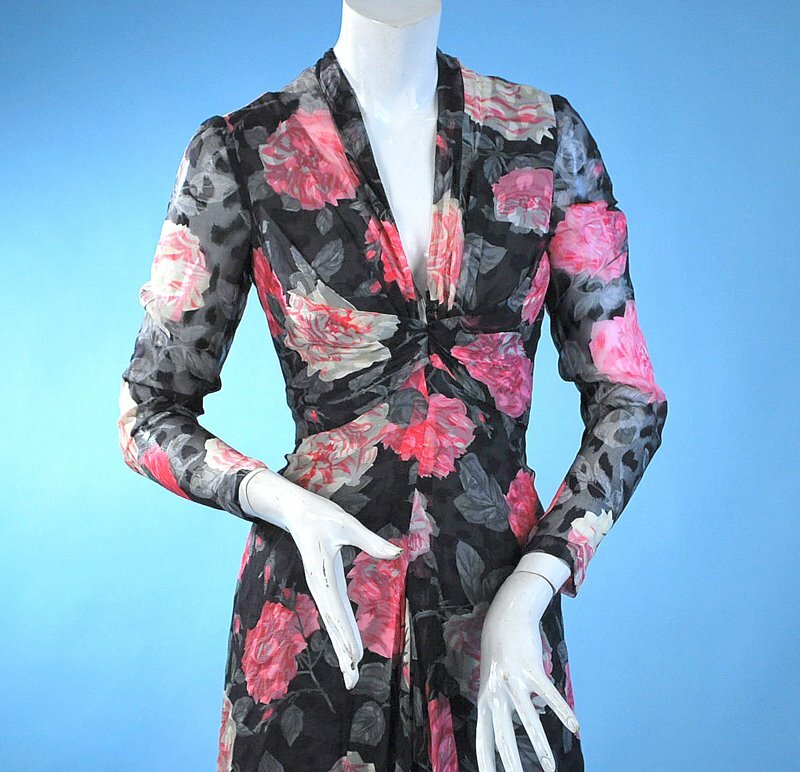 Fluttery floral silk chiffon party dress dating to the mid 20th century. 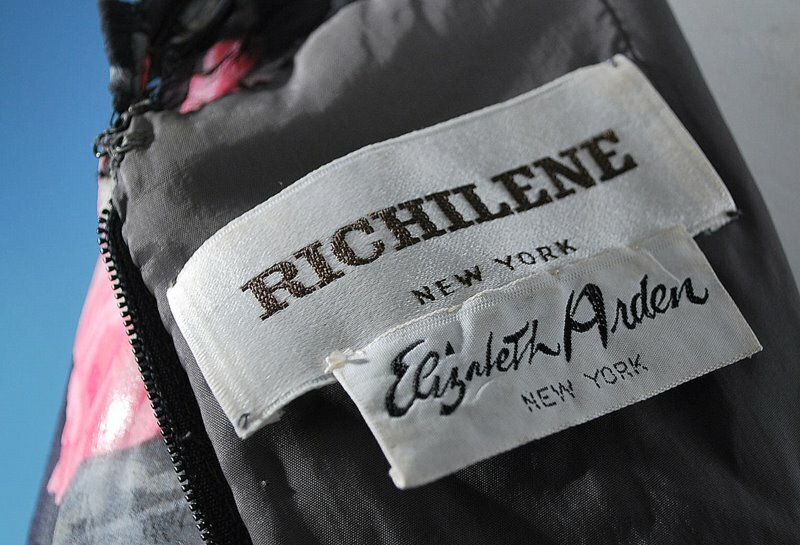 Labelled Richilene, retailed out of Elizabeth Arden in NYC. 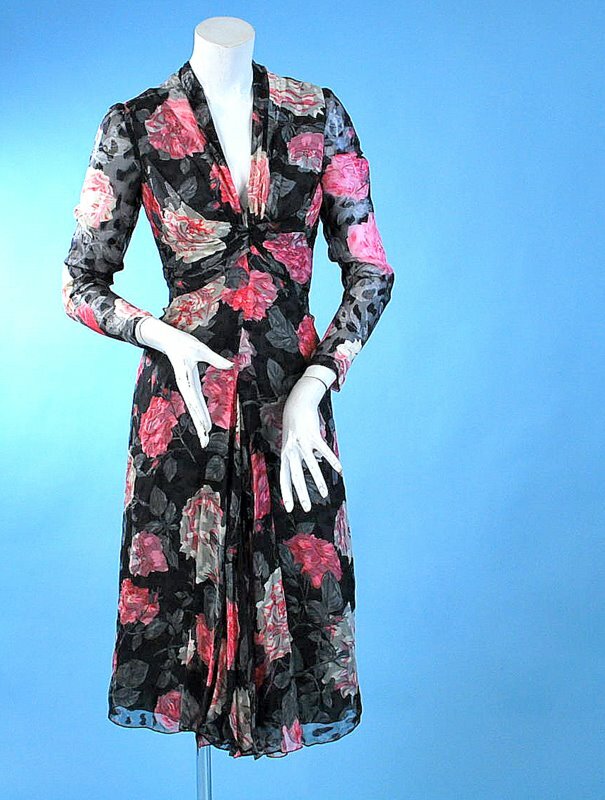 Plunging neckline with gentle gathers at center of chest, inverted just above waist with bias cut fluttery skirt. 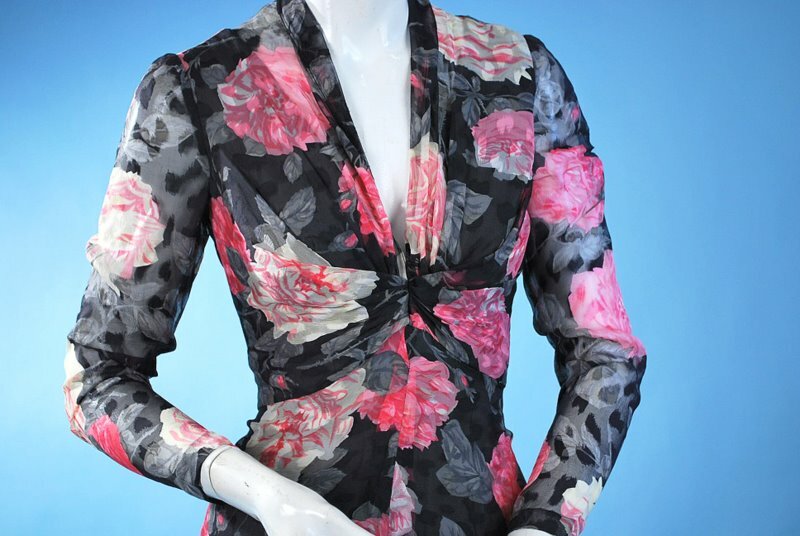 Full length nylon zipper, hand set in at the back, lined in gray silk. 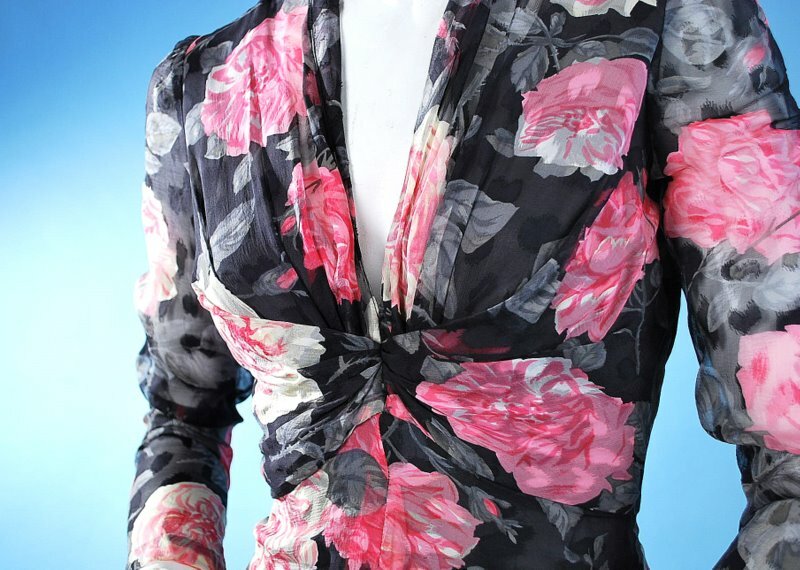 In excellent wearable condition. 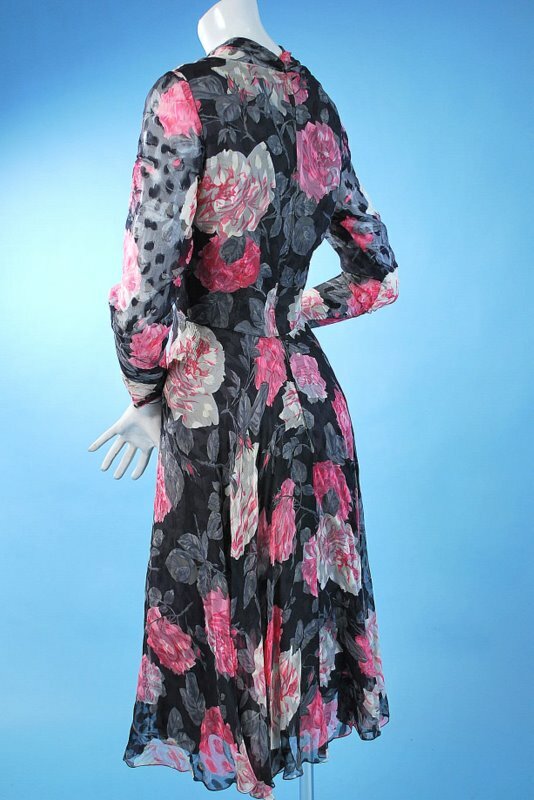 Chest measures 38″, waist 28″, length 42″, sleeves 23″.